"The Big Three Trio (Feat. Willie Dixon)"
Long before he emerged as one of the linchpins of post-war Chicago blues, giant-sized Willie Dixon was experimenting with a smoothly harmonized, pop-accessible approach to the genre with his Big Three Trio. Born July 1, 1915 in Vicksburg, Mississippi, big Willie had a voice as low and resonant as his upright bass playing. He wrote songs and sang gospel prior to arriving in Chicago in 1936, intent on boxing as a heavyweight. That didn't last long, but he fortuitously hooked up with guitarist Leonard 'Baby Doo' Caston, who convinced him music was a better choice. "I had a tin can bass, one that I made at first when I started out," said the late Dixon. In 1939, Willie and Baby Doo formed a group called The Five Breezes, their blues buttressed by smooth vocal harmonies. "We did more giggin' around Chicago with that group than we did anything, 'cause we was just marchin' from door to door all up and down Madison Street, and all over the North Side," said Dixon. They debuted the next year on Bluebird. 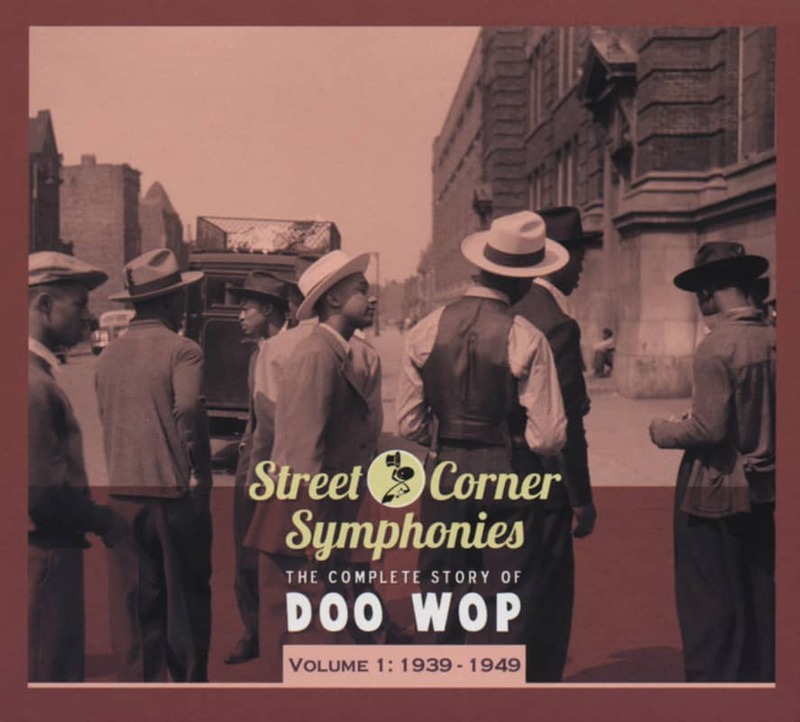 After spending time in jail for evading the draft during World War II, Willie formed another group, The Four Jumps of Jive, with fellow ex-Breeze Gene Gilmore. They made two 1945 78s for Mercury before Dixon reunited with Baby Doo, now on piano, and guitarist Bernardo Dennis to form The Big Three Trio in '46. Their urbane sound was laced with tasty vocal harmonies. The trio made two singles for Jim Bulleit's Nashville-based Bullet label, notably Dixon's ribald Signifying Monkey, before Dennis was replaced by Ollie Crawford. The Big Three Trio signed with Columbia in 1947. Their dates were usually produced by Lester Melrose, who had the Chicago blues recording scene sewn up. "Lester Melrose was one of the first guys that we recorded with, because he'd go down to Tampa Red's house. Lester Melrose used to hang out down there," said Dixon. "We used to write songs and he'd buy 'em from us, different songs for a small amount of money - $10 or $15, whatever we could get for 'em." The trio's You Sure Look Good To Me was a Top Ten R&B hit on Columbia in 1948. 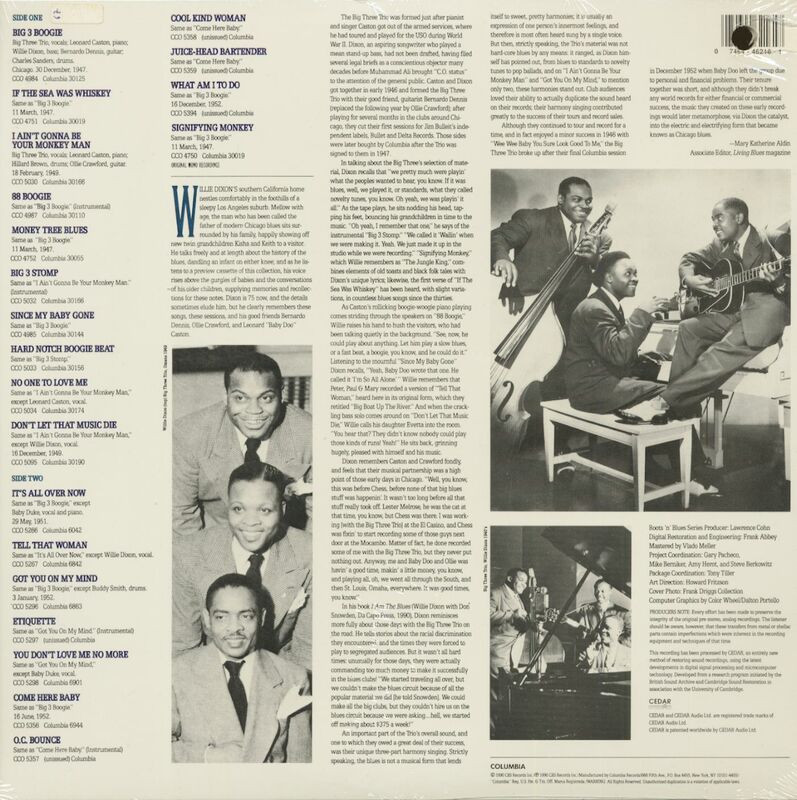 Caston sang his own After Awhile, a bouncy hybrid cut September 3, 1947 with Charles Saunders on drums and Dixon slapping his bass with the same gusto he brought to his vocals. 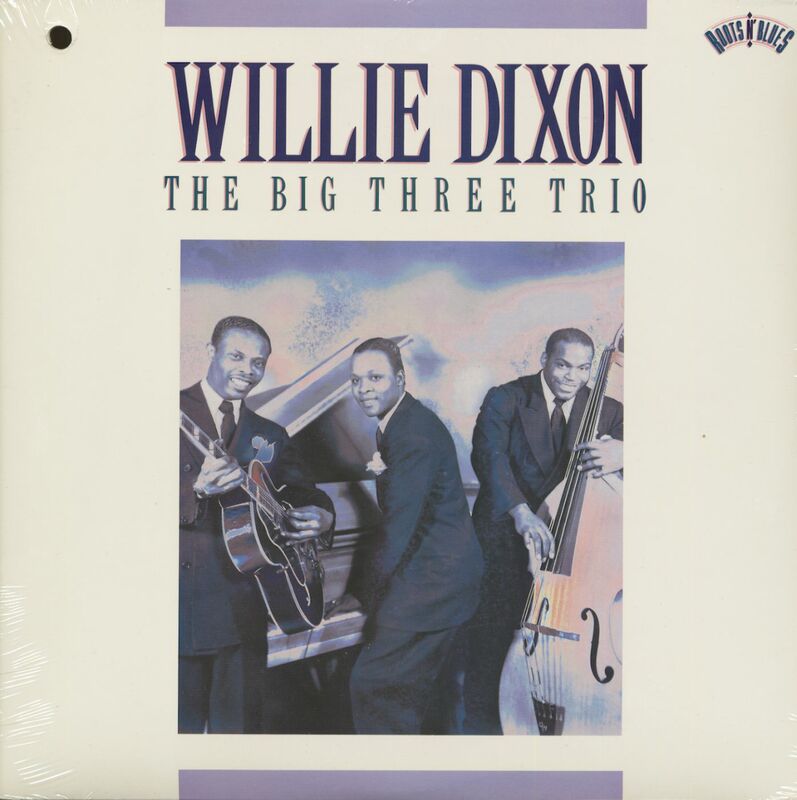 Although The Big Three Trio stayed together into 1951, Dixon was making inroads as a blues session bassist and prolific songwriter. He reigned as the bard of Chicago blues during the 1950s and '60s, writing seminal smashes for Muddy Waters, Howlin' Wolf, Little Walter, Otis Rush, Koko Taylor (he discovered her), and plenty more as well as working as an invaluable A&R man for Chess and Cobra. He died January 29, 1992, his legacy as a Chicago blues heavyweight a massive one. "Blues are the actual facts of life, expressed in words and songs and music," Dixon declared. No one could question his wisdom. Customer evaluation for "The Big Three Trio (LP, Cut-out)"